I recently started sharing more baby showers in our instagram page and love all the feedback you girls have been giving to me! When we think baby shower, we obviously want the cutest decorations! 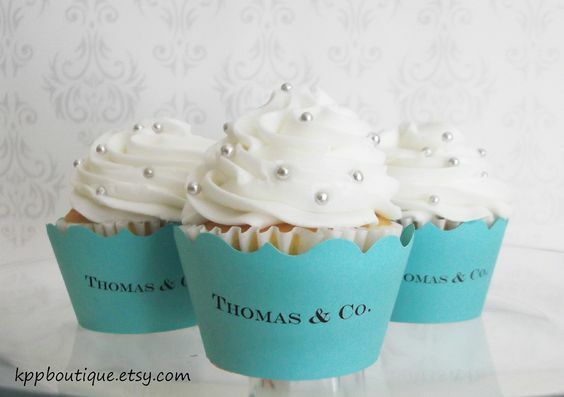 I asked you bumpshells what kind of baby shower you would like to see, and you asked for a Breakfast at Tiffany’s themed baby shower! I started looking all over pinterest and here are my favorite results! I personally love these invitations with the little white bow! You can find them on Etsy! My favorite are these 3 ones: first, second and third. 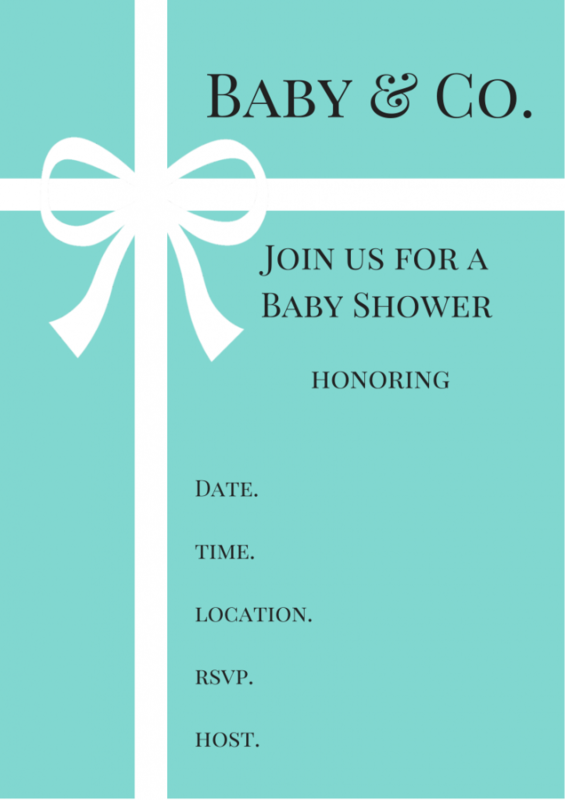 If you’re more of a DIY person, I’ve found this cute template that you can print and make your own invitation card from Baby Shower Ideas 4u. Now this is my favorite part, the sweet table!! I love the white flowers decorating the table and including the colour silver as well because too much of the Robin Egg Blue can make your table look less classy and be too overwhelming for your eyes! Of course, you can’t forget about the balloons! I love this set up from Haute Balloon. If you live in Montreal, you can get her personnalized balloons which just look amazing! Now, balloons can be pricy but you don’t need to do this crazy setting. If you’re more on a budget, you can also rent a helium tank or buy one. I’ve seen helium tanks in Walmart which is more afforable to buy and then you can purchase the balloons you like at the Party Center if you’re looking for something more special. I personally like white balloons, again because I feel like blue balloons will be too much but depends again on how much blue you’ve decorated your venue! I feel like nowadays we want favors to be something that our guests are really going to use or eat! I think candies, chocolates or the mini bottles of champagne are fun to receive. I would also give beauty products like nail polish or small bottle of hand cream, something that anyone can use no matter what their skin type is! For this baby shower theme, it’s all about the packaging! I’ve found a few cool ideas! Most of the things I’ve found are from Etsy, if not I’ve found this online shop Kaleidoscope Parties which carries the pop corn boxes, the bags, invitations and other decorations. 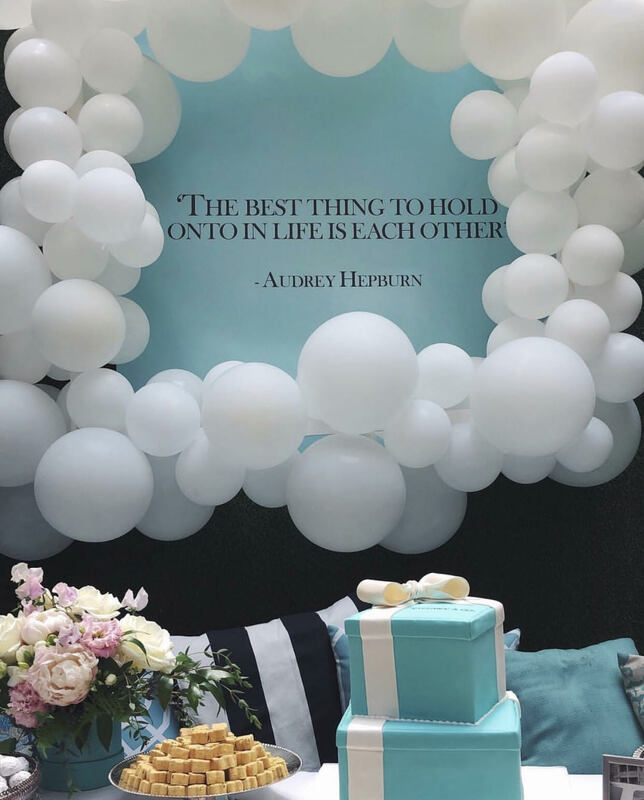 Hope this post was helpful and that you got some inspiration for your baby shower! Some of the links I’ve shared are in the Montreal area only (where I’m from) but if you know other places where you can get decorations worldwide or in other cities let us know in a comment below!